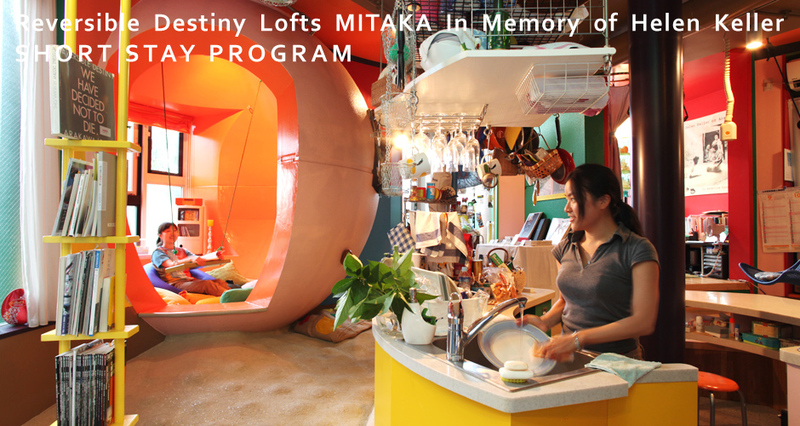 The Short Stay program at the Reversible Destiny Lofts Mitaka allows customers to stay from 4days. You too can live in the first completed residential building by ARAKAWA+GINS ! 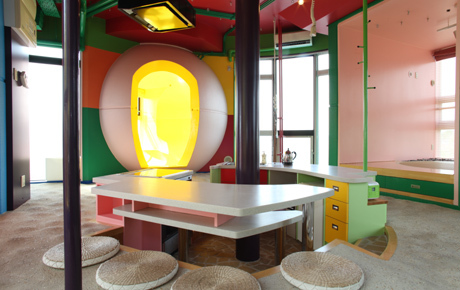 - are looking for an interesting place to stay during your next Tokyo visit. 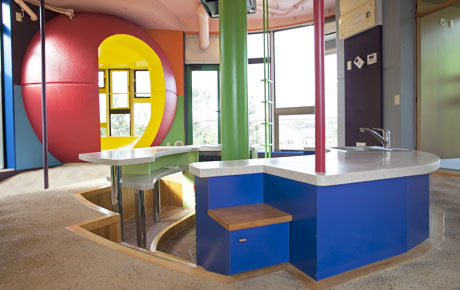 Whatever your motives are, you will definitely spend a meaningful time at the Reversible Destiny Lofts Mitaka ! For ARAKAWA+GINS, this artwork can only be completed once people live in it. We are looking forward to having you complete this artwork and find your own, individual use for it.